Should you customize your Porsche, or keep it as close to the original look and feel as possible? Are there pros to modernizing your car, or should you keep it in the same condition it was built? We’ve created a list of Porsche customization pros and cons to help you decide whether you should keep your car classic or update it. When it comes to buying, maintaining or repairing any car, there will always be some cost involved. But what costs more, maintaining a classic Porsche or updating and modernizing? Maintaining a classic Porsche is thought to be a very expensive affair. The amount of work your Porsche will need to keep it looking classic and as close to the original as possible really depends on the previous owner – if it was properly maintained before you bought it, keeping it pretty and running properly shouldn’t be too expensive. Of course, old cars are old cars, and things will inevitably fail. Although Porsche do stock parts for older models, getting hold of the necessary parts can be costly, time consuming, and difficult. You will likely have to reseal the engine, replace the calipers and clear out some dust, but overall a well maintained classic car doesn’t have to cost a small fortune. One of the biggest downfalls of classic cars cost-wise is the amount of fuel they consume. Most old-school Porsche’s will use a lot more gas than their updated counterparts, which can put a dent in your wallet. There are many pros and cons to modernizing your old Porsche. Initially, the costs will likely be quite steep, as you’ll have to buy many new parts. Some older cars might even require remodeling so that new parts and customizations will fit the old design, further adding to the cost of upgrading. But, maintaining a modern car is often less expensive than looking after a classic Porsche. Vehicle technology has improved drastically in just the last few years, making modern cars far less likely to require costly upgrades when compared to their classic counterparts. The debate around classic car performance and the performance of updated cars has yet to be resolved, as there are many pros and cons on either side. 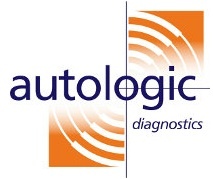 If you’re looking to maintain a classic car and ensure that it remains as similar to the original as possible, you will be driving vehicle technology from many years ago. While this isn’t necessarily a bad thing, older vehicles don’t always perform as well as their upgraded counterparts. Of course, there are certain models that were built to last. The 911s of the 80’s with their 3.3-liter turbocharged engines will definitely still take you from A to B very quickly, and every car enthusiast will understand the appeal of a roaring old school engine. If you modernize your car, you will likely customize its performance at the same time as modifying it’s looks and appearance. Putting in a newer engine or updating your suspension will often improve drive quality and top speed, while custom tires and brakes will improve traction and brake horsepower. 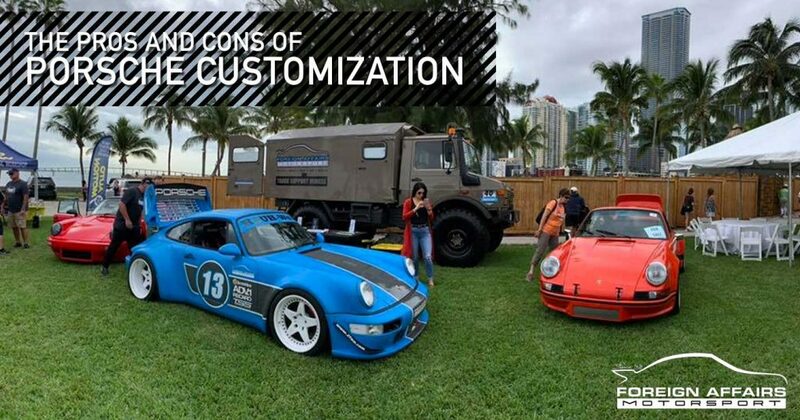 Just make sure not to DIY your Porsche customizations, as you can easily destroy your car while trying to modernize it. When it comes to Porsche appearance it’s difficult to decide on pros and cons of modernized versus classic cars. Whether you’re an old car enthusiast or an updated Porsche lover, at Foreign Affairs Motorsport we will be happy to help you make your car perfectly suit your wants and desires. With the number fatalities and of people who get injured on our roads everyday, it’s important to consider your safety when purchasing a vehicle. At the end of the day, classic cars are often not as safe as modern, particularly if their brakes haven’t been replaced. Some classic Porsche’s don’t come with safety belts, so even classic car lovers will be forced to install safety belts if they want to drive around town. Nowadays there are many different customizations specifically tailored to making your car safer to drive. Whether you’re a lover of all things classic, or if you’re pro modernization, Foreign Affairs Motorsport can assist you with all of Porsche service needs. We will be able to give you the best advice on your vintage vehicle, and whether it keeping it classic or modernizing is the better investment for your model and make.